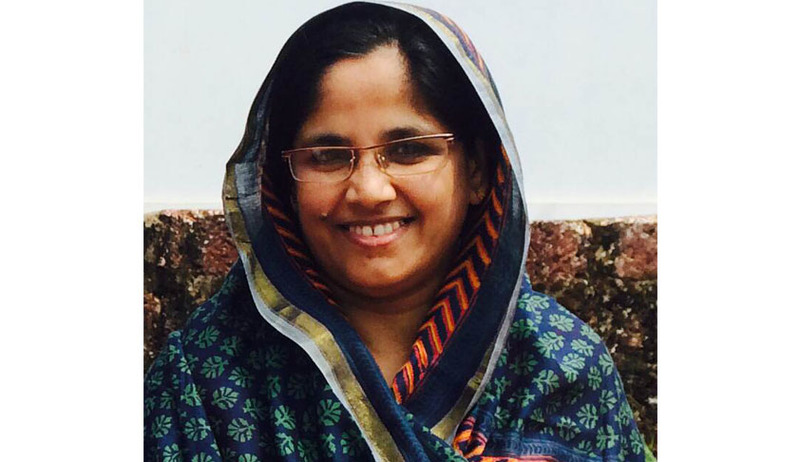 Dr.Sheena Shukoor is the Pro-Vice Chancellor of Mahatma Gandhi University as well as the Acting Vice-chancellor of National University of Advanced Studies (NUALS). Hailing from a humble background, she graduated from GLC Calicut and secured LL.M from Vanderbilt University Law School, United States of America. He did her PhD in Law on the scope and application of Muslim Family Law. She is a Fulbright Vanderbilt Fellow 2008-09 from India to United States of America. She was a practicing lawyer and a Faculty in National Judicial Academy. In this short interview, she explains about the recent controversy related to the inquiry ordered by the Chancellor of NUALS regarding the financial mismanagement in NUALS and more. Live Law : Dr.Shukkur, You are the Pro- Vice Chancellor of the MG University which has jurisdiction over 5 Districts in Kerala, having 18 University Departments, 82 Aided Affiliated Colleges , 230 Unaided Affiliated Colleges and 273 Recognized Research Institutes. Of Course, you have a busy schedule at MG University. What made you to accept the Acting Vice-Chancellorship of NUALS in this busy schedule? Dr. Sheena Shukkur: Basically I am a law faculty, having more of interest in legal field. I am in the Executive Council of NUALS since 2012 and I was observing the discontented discourses happening there which may have led Prof. Balu leave NUALS all of a sudden. He was put to pressure. I felt the call for a temporary Vice Chancellor who could help initiate for academic excellence, to address the irregularities and set it in a right track. NUALS being a very small institution with less number of students compared to MG University was also a reason and I accepted it. Live Law: You were a lawyer, Faculty in NJA and now Pro VC of a University. Which role according to you best suits for you? Dr. Sheena Shukkoor: All these roles are equally important and are part of the same coin except the physical attendance, advocacy, teaching and administration. At MGU it is more of administration, but I am still addressing and engaging LL.M classes at School of Indian Legal Thought (SILT) with the permission of the Chancellor. Administration also includes advocacy such as legal advices, decision making, pleading for stakeholders, imparting justice in each file, protecting the law and legal spirit etc. I am also updating the trends in trial advocacy and examinations with the support of my husband who is a practicing lawyer. Live Law: You were in National Judicial Academy for many years. Can you tell about the experience you earned from the said assignment? Dr. Sheena Shukkoor: I was in NJA for three full years on deputation and I enjoyed a lot working there. At NJA as academic faculty we were to conceptualize and co-ordinate different programs (as we call it for a course) and conduct the program, address the judges and interact with the judges on topics of our expertise. It was a genuine vast experience associating with the sitting judges at various tiers in India; which bestow enormous confidence on me to perform the duties as Pro Vice Chancellor now at MGU. I learned a lot from Prof. Mohan Gopal, the then Director, NJA. I could observe many judges having great social justice mind. I learned the prominence and magnitude of our Constitution. I envisaged spirit of the Indian constitutional values and raison d'être for why the values get protected. Live Law: Recently you were in news as you have taken initiative to inquire the alleged financial irregularities in NUALS, and there is a strong opposition to that. Can you explain the controversy for our readers? Dr. Sheena Shukkoor: There is no controversy. I was duty bound to inform some facts relating to the construction work at NUALS which was brought out by the Internal Audit Committee appointed by the then Chancellor. It is my responsibility both as a citizen, EC member and as VC to inform the irregularity that had happened. I was only informing the facts in order to make sure that University has not suffered any loss due to deviations brought out in the Internal Audit Report. Live Law: It has been reported widely in the press, in fact we have also reported that the Chief Justice of Kerala High Court, being Chancellor of the University has directed for an inquiry based on your report. What is surprising is that even the Law Secretary of Kerala, sought ratification of the accounts. Can you explain? Dr Sheena Shukkoor; I should not comment on what has transpired in the Executive Council. Four of us dissented the ratification. Live Law: What are the challenges in the administration of NUALS? Is it politicized? Dr Sheena Shukkoor : It is not of politicizing. It runs like a private company except matters related to admission of students. Social justice is not protected in appointments. Per se individual interest is maintained. I suggest that the appointments should be left to the Public Service Commission. Live Law: There are rumors that you are also in the run for Post of VC at NUALS and the search Committee is to meet soon to select the new VC of NUALS. Are you a contestant? Live Law: You are a product of a Government Law College and Government Law Colleges are neglected in many ways. What is your take on this? Dr Sheena Shukkoor: Government Law Colleges need to be reformed and revamped. Menon sir was heading the committee constituted by Kerala State Higher Education Council on legal education reforms in India and a Report was submitted during 2010-11. But that was not implemented. Now we are trying to develop on that. My daughter is studying in the same GovernmentLawCollege from where I graduated. We made a conscious choice, because, apart from legal knowledge there are many more to learn from campus, like skills, attitude and confidence in the profession. I believe that the Government Law Colleges are best in imparting all these even today. Many of the finest Legal Academicians in India are from these government law colleges. Live Law: Wish you all the best in all your endeavors.